About Crescent Shores: Crescent Shores offers some of the most luxurious 2, 3, and 4 bedroom condos in North Myrtle Beach. Crescent Shores oceanfront condos offer penthouse-style accommodations, boasting granite countertops in the fully equipped kitchens, spacious rooms, washers and dryers, and designer furnishings. The sizeable oceanfront balcony reveals superb ocean views, as well as a glimpse of the impressive pool amenities below. Crescent Shores offers an indoor pool, a large outdoor pool and lazy river, and two outdoor hot tubs, all just footsteps from the ocean. A fitness center is also on the premises. Located in the Crescent Beach section on historic Ocean Boulevard, Crescent Shores is within minutes from all the action on Main Street to the north, and renowned shopping and dining at Barefoot Landing to the south. The resort is also walking distance to an Irish pub that offers a unique oceanfront dining experience, as well as an ice cream shop to cure any beachgoer's sweet tooth. The beach at Crescent Shores offers the more adventurous guest seasonal parasailing and banana boat rides, something exclusive to the Crescent Beach area. 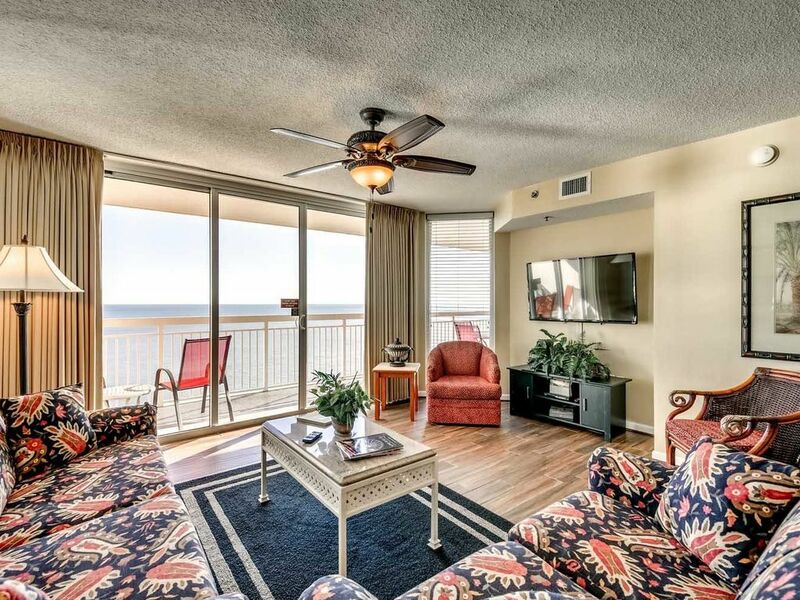 For an unforgettable beach experience, look no further than Crescent Shores.